Southern California includes the southernmost ten counties, including famous places like Los Angeles, Orange, Riverside, San Bernardino, San Diego, Santa Barbara, and Ventura. Southern California is famous for its beaches, wineries, breweries and year-round pleasant climate which makes it a great place to visit. If you are planning a vacation with many different things to do, family fun, hiking, as well as diverse history and art to discover and appreciate, then Southern California is the place to visit. Next read: 25 Best Things to Do in Northern California. Wilderness enthusiasts can move through the landscape while hearing and feeling the gravel underfoot in Sunnylands Center & Gardens. The center is open to the public and provides tours and interactive educational kiosks, information panels, videos, and art selected from the Sunnylands Collection. 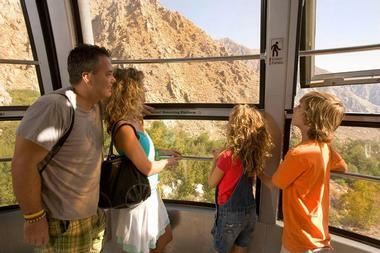 Palm Springs Aerial Tramway is the perfect way to enjoy the wilderness in the company of your loved ones. Not only can you ride in the world´s larger rotating tramcar, but there are also guided nature walks, hiking plans, and camping or skiing opportunities in the winter adventure center. There is a wealth of family fun to be had in the winter season with cross-country skiing, snowshoeing, and snow camping. While you are out in the wild, you can make your reservation at a hotel or resort of your choice, or have a great dining experience at the Pines Café, the Lookout Lounge, or the Peaks Restaurant. The history of Universal Studios Hollywood began back in 1915, when Carl Laemmle, its founder, opened the gates of Universal City, as it was called back then. Since then, Universal Studios has been the place to visit for loads of Hollywood fun, including movie tours, attractions, and lots more. Disneyland Park is a more than just a theme park. It is America´s magical destination for the entire family where you can find several attractions for everyone, from young children to adults. Explore jungles, sail with pirates, dive under the ocean, meet beloved fairytale princesses, or have an outer space experience. The Gamble House, designed by the brothers Charles Sumner Greene and Henry Mather Greene, was constructed in 1908-09 and is now known as a National Historic Landmark and museum in Pasadena, California. Inside the Gamble House, visitors can join guided tours like the neighborhood walking tour. Since it was first opened to the public in 1997, the Getty Center, a campus of the Getty Museums, receives many people annually, and it is well known for its gardens, art exhibitions, and architecture. Come here to access the center and its activities, plan visits, and get information about hours, group visits, parking and more. At the Getty Center, you can find pre-20th-century art on display, including European paintings, illuminated manuscripts, drawings, decorative arts, sculpture, and 19th- and 20th-century American and European photographs. The center also has a wide variety of food made with local ingredients. In La Brea Tar Pits Park, you can follow one of the suggested itineraries, access the excavation 101, take a look at the observation pit, and visit the museum. Another part of the journey to La Brea Tar Tips includes exploring the fossil lab, viewing exhibits, and watching Ice Age Encounters and more in the 3D theater. Balboa Park is one of the many interesting historic places to visit in the United States. As a cultural park located in San Diego, it is surrounded by natural vegetation zones, open space areas, gardens, greenbelts and walking paths. 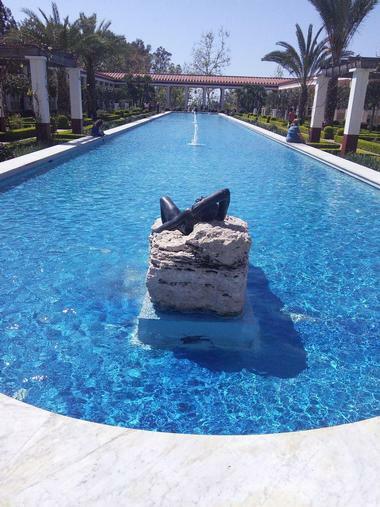 It is the perfect destination for people who enjoy visiting museums, theaters, and the San Diego Zoo. Apart from all the cultural activities on offer in the park, there are several recreational facilities, restaurants, and gift shops. 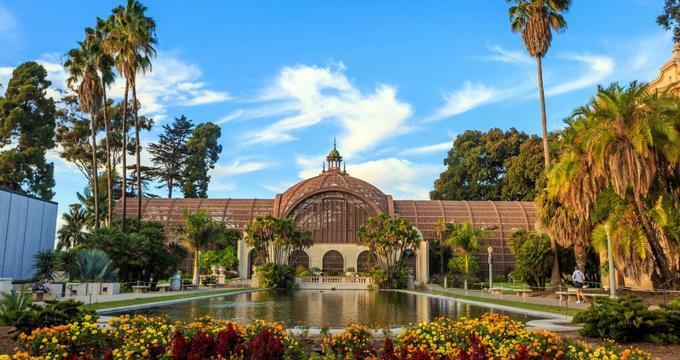 Balboa Park was placed in reserve in 1835 and since then has served the sole purpose of public recreational use. The Huntington Library holds more than just books; it is a cultural, research and educational center where visitors can explore a splendid art collection, an excellent library, botanical gardens from all over the world, and a lot more. The library has some of the finest rare books and manuscripts of Anglo-American civilization on display, while the art collection hosts works by different artists, including Edward Hopper’s The Long Leg, Frederic Edwin Church’s Chimborazo, and Mary Cassatt’s Breakfast in Bed. 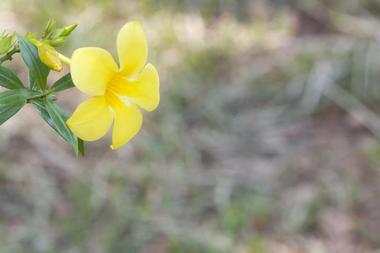 The botanical gardens have more than a dozen specialized gardens that are open to the public. The Griffith Observatory is a gateway to wonders of the Milky Way. Inside the observatory, visitors have the opportunity to get a glimpse of the cosmos using telescopes, while star lovers can explore exhibits and see live shows in the Oschin Planetarium. The observatory owes its name to Colonel Griffith J. Griffith, who left funds for the building of the observatory in his will in 1896. 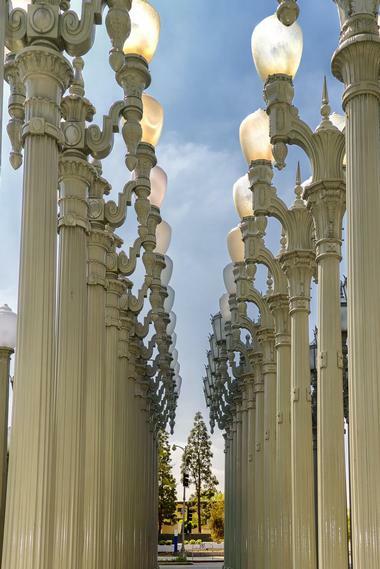 The Los Angeles County Museum of Art has more than 150,000 pieces of art spanning the history of art itself, from ancient to modern art. It also holds film and concert series. The museum opens its doors to art fans and all those interested in seeing the exhibits. SeaWorld San Diego is a theme park that offers lots of fun for the entire family. 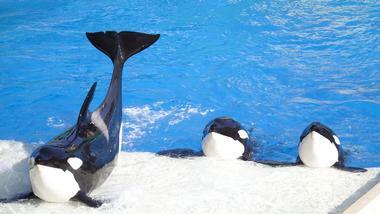 SeaWorld is an animal theme park, oceanarium, outside aquarium, and marine mammal park. The park was founded in 1964 and since then has delighted thousands of people with aquatic attractions. The Legoland California Resort is a themed hotel located at the main entrance of Legoland California. The resort has interactive Lego facilities in which visitors can choose between various themed rooms, such as Pirate, Kingdom, Adventure or Lego Friends. 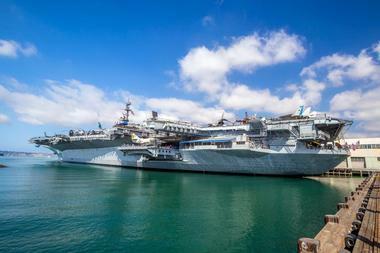 The USS Midway Museum opened as a museum on June 7, 2004, and today it is the most famous naval warship museum in the United States, hosting more than 700 events each year, including active-duty navy retirements. Exhibits and activities for all ages include the aircraft gallery, flight simulators, an audio tour map, a Battle of Midway experience, a legacy week, the 4th of July Celebration, a celebration of Veterans’ day, summer movie nights, and much more. You can experience an unforgettable adventure for the whole family and access the different events, tour information, dining, and shopping. Next read: Best Lunch & Dessert Spots in San Diego. Knott Berry Farm was founded in 1920 by Walter and Cordelia Knott. Today, the farm is known as America's first theme park. 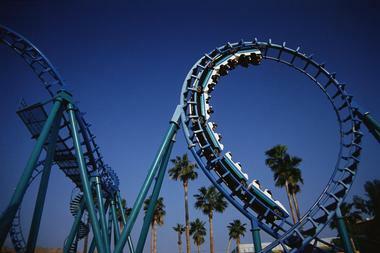 The Knott Berry Farm has plenty of things to do, including family rides, live entertainment, shopping, and dining. In addition, the park offers the Knott´s Soak City Water park, a California marketplace, roller coasters, children´s rides, thrill rides, and even Berry Market online shopping. Along with accommodation options, corporate events, and online fun, the park offers a variety of choices for visitors of all ages. The farm also hosts corporate events, student and youth programs, and celebrations. The Manzanar National Historic Site is the perfect place for a vacation filled with the history of before and after World War II. In 1942, Manzanar was one of the ten camps where over 110,000 Japanese Americans were imprisoned. 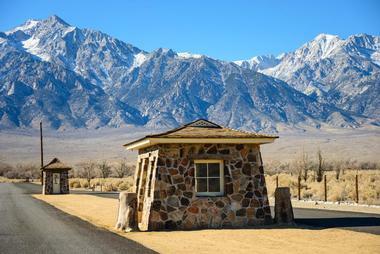 Today, Manzanar is a national park where tourists can go to the visitor center, engage in outdoor activities, take guided tours, learn about the pilgrimage, and much more at nearby attractions such as the Eastern California Museum, Laws Railroad Museum and Historical Site, and Maturango Museum. 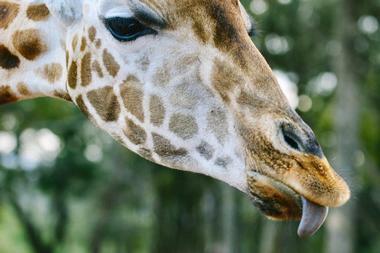 The San Diego Zoo is located in Balboa Park and houses more than 3,700 animals. 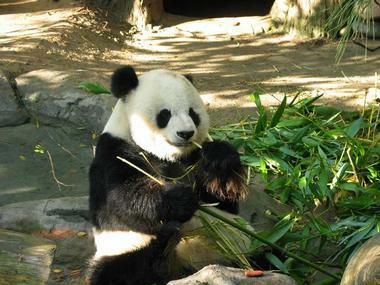 Animal lovers can try the botanical tours and other unique experiences such as the exhibits Animals in Action, Early Morning with Pandas, and Crazy about Cats. Visitors can also discover the cart tour, the sunrise surprise stroll as well as exclusive VIP experiences and dining events. 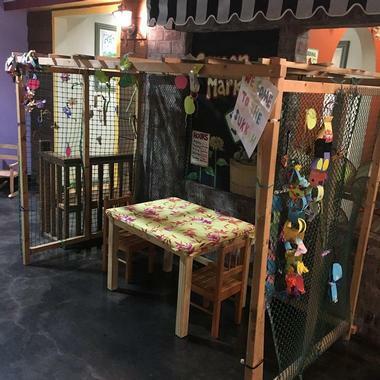 There are a number of different activities at the zoo, while children can take part in the zoo’s educational activities with various programs like the kinder program and wildlife sleepovers. The gift shop has a very nice collection of souvenirs and presents. The Getty Villa is one of the locations in the Getty Museums at the southern end of the Malibu coast. You can learn all about Roman, Greek, and Etruscan arts inside the museum. The Getty Villa showcases arts, architecture and garden exhibits. In total 7,000 years-worth of ancient art are on display, with some exhibitions changing over time. With its first-century Roman country influence and gardens inspired by the ancient cultures of the Mediterranean, the Getty Villa is a beautiful place to visit while the gift shop offers some unique items. The California Science Center was founded in 1951 and was first known as the "California Museum of Science and Industry". 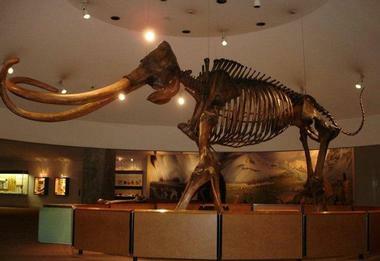 The museum was remodeled and its name was changed to "California Science Center" in 1998. It offers informative and interactive permanent exhibits like the Science behind Pixar Exhibition, Earth in Concert: Protecting in Planet through Music, and Mission 26: The Big Endeavour. Located on Los Angeles’ Museum Row, The Zimmer Children's Museum is the only city museum specifically focused on kids under the age of eight. Spread over 10,000 square feet, the museum has a range of interactive, hands-on exhibits and family programs. The museum’s goal is to encourage big ideas along with creative and brave thinking. The kids play in an inspiring and creative setting and discover real activism, learn about injustice, and find out how they can change the world and create a better future. The Zimmer offers two main programs: a children’s museum for kids eight years old and younger and youTHink, a development program for high and middle school students. There are about 20 weekly public programs and classes in music, art, movement, school readiness, cross-cultural exchange, and five languages. The Living Desert Zoo & Gardens is dedicated to preserving, conserving, and interpreting the desert and all its various plants and animal life. Since its foundation in 1970, the Living Desert Zoo & Gardens has achieved several conservation goals and there is a huge variety of things to do and see. 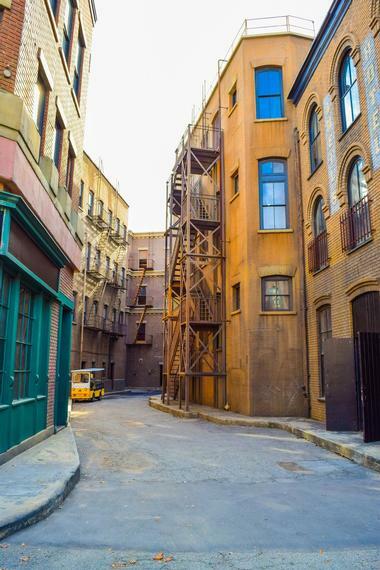 This studio tour is a public attraction inside Warner Bros. Studios where movie fans can experience the home of television and film favorites and experience a three-hour visit inside a real working Hollywood studio, outdoor sets, and soundstages for different movies or series such as Gilmore Girls, Big Bang Theory, and Argo. 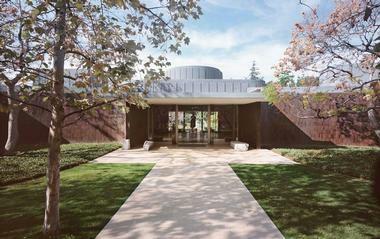 The Norton Simon Museum in Pasadena houses European sculptures, paintings, and tapestries. There are also Asian sculptures, woodblock prints, paintings, and sculpture gardens displaying sculptors' works as part of the landscape. 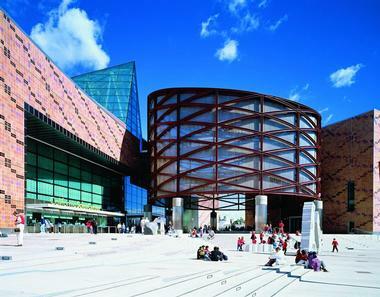 Visitors can see regularly changing exhibitions, collections, and events that can be enjoyed with the entire family. The museum also provides adult education classes, talks, tours, and more culturally related events that offer a warm welcome to everyone who wants to do something more cultural and artistic on their vacation. As a visitor, you can even schedule a tour or be part of the family art night.